Beautiful blinds for your home can be a reality more easily than you may think. At Sheerview Window Furnishings, we have a blinding array of blinds ready to buy “off the rack”, but we also can give you the true “made to measure” quality of bespoke service if you prefer blinds that are made especially for you. We can visit your home or office and do the measuring for you. This ensures total accuracy, because many people don’t know the correct technique for measuring. If you already know the materials and style for the blinds you want to create, we may even be able to give you an instant quote on the spot. Roman blinds. 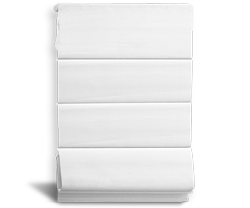 An ancient style that never goes out of fashion, the Roman blind was invented in Ancient Rome, expressly for the purpose of helping to keep dust out of the houses, a need that was only made obsolete once people began installing glass windows. When lowered, these blinds form a solid screen. 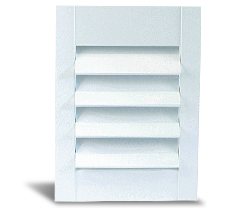 They fold up from bottom to top like a concertina when you want to allow light to enter the room. Panel glide blinds. 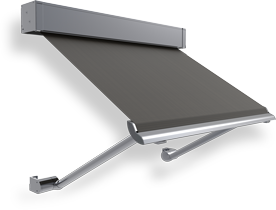 One of the most recent innovations in blinds, these are large overlapping vertical panels that slide over one another when retracted. They form a very solid screen and look very elegant. Best suited for large window areas. They are kind of like vertical Roman blinds. Vertical blinds. These are a series of sail-like panels that are connected by sewn in weights making them chainless. These are controlled by a wand which is ideal for child safety in your home. This allows for a high degree of adjustability, so you can angle the light just the way you want, or shut it out entirely. Roller blinds. The simplest type of blinds, and a classic style. These are generally the cheapest type of blinds, and are most suitable for using on small windows. Blinds can be made from a wider range of materials than curtains can, though the materials need to be generally much thicker and stronger than curtain material. Choices include wood, metal, plastic, canvas, and although it is not seen very often, ceramic. You should not really want ceramic blinds, because they’re extremely heavy and can break very easily. Any softer material than canvas will normally need reinforcement with wire or plastic before it can be used as a blind material. Each of the different materials is more suitable for particular types of blinds and unsuitable for other types. Wood, for example, is not especially practical as a material for a roller blind, but is perfectly acceptable for a vertical blind. The easiest way to work out which materials are suitable for each type of blind is to think about the function of the blind. A blind that features adjustable panels will work at maximum efficiency with solid panels such as wood or metal. Blinds that fold or roll will work best with soft materials. Some materials such as PVC can be either soft or hard materials depending on how they’re constructed. We’re always happy to help customers make the right choice about their blinds or other window furnishings. 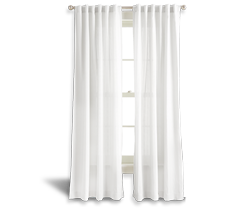 If you want to be sure of getting the best deals and the best advice, talk to Sheerview Window Furnishings.